After the Cyprus fiasco, we are in a better position to understand what we face from the shadowy agenda lurking in the vaults of the banking cartel. The theft and forced investment in low yielding Bonds comes after an overt dip into your bank account, they call a bail-in, also known as the haircut, which is a strategy to be forced upon the account holder, sanctioned from the back door of international commerce, enforced by the corporate government. Just how far this will go requires the insight drawn from the warnings issued to all G-20 representatives and even all major banks and financial institution in all nations, that they are indeed open to this skullduggery, and could very well be next for a visit to the barbers which could leave one without for the weekend. Marc Faber suggests a key sign that a bail-in is on the cards comes in the offer of a high interest return on deposits, currently available in the Lebanon, a sign he noted when Cypriot banks were raided. He suggests that high interest offers are the sign for bad banking practices, while low interest yields under the current climate, may be seen as good banking. The source of this agenda would be those who represent the mighty old money families from the days of the combination of Templar finance and Templar Naval force birthing the East India Companies, the slavery, and opium running escapades, bringing such wealth to the powerful, they could easily procure a fund with mighty strings for the re-build of nations. A major step in the direction of bankrupting nations was had in the uncertainty between the Two World wars, wars set up and funded by the same banking cartel about to offer the fund to all nations in 1930. The fund was named the Bank for International Settlements, and the binding hellish contracts that lead us blindfold to the current financial madness, which is moving to secure more global assets to the fund, as they regulate the terms for the bailout of the failing banks and institutions, in order they can finance the hedge funds to secure more assets, with the taxpayers becoming the liable agents for the bailout credit, but this time not a bailout via government, but a bail in direct from your bank account. The arena in which the shadows of finance operates presents itself best in the seriously shadowy cabal of globalist groups who would call themselves the Basel Committee, and the Financial Stability Board (FSB), both housed within the mighty Bank for International Settlements (BIS), acting for the fund currently through Basel III. All moving behind the scenes from a perch so lofty… it would make the Tower of Babel look like a bungalow, upon which we find the shadowy banking cartel that is the Bank for International Settlements who from behind the scenes had planned to unleash the Cyprus confiscation bail-in model upon the hapless depositor, to further the aim of what they call a strategy of socialising losses? It also moves the one world electronic currency to be the burnt offerings after the manipulated crash. The Bank of International Settlements (BIS is based in Basel, Switzerland.) The BIS has purpose, it stands between the trustees and global finance in the issuance of credit under contracts so heinous, the power of the fund has to be hidden from the mainstream or governments would be forced to remove the yoke the trustees demand. The fund (BIS) is the benefactor to those contracts and acts through various NGO’s to dictate and enforce the terms of the credit and bankruptcy statutes through the dictating of policy to the central banks of sovereign nations. To hide this they use the term to serve the privately owned central banks, formed by the money masters again from the timeframe of the East India Companies. The BIS do claim their benevolent existence is so in the pursuit of monetary and financial stability, to foster international cooperation in those areas and to act as a bank for central banks. As such we can say the BIS is the world’s oldest overt international financial organisation in its position of ultimate creditor to the central banks of the world. This position since 1930 has only moved in one direction to expand the power of the fund, a position the remains so today with all nations yoked to the fund through the issuance of credit. In this sense we must understand that the central bank of the nation, in my case the Bank of England, is no such thing, they are nothing but brokers of credit and insidious terms offered to bankrupt governments and administrators to the private cabal that is the BIS, through its World Bank and the fund thereof, the International Monetary Fund (IMF). Today the British government acts not for its people or the realm that protected them, they are mere assets of the international banking monopoly which dictates policy through the Bank of England to the government in power, today we know the policy instructed by the BIS to be a demand for austerity. In the UK tax year 2012-13, according to a report by the Institute for Fiscal Study, the expected tax take was 591.7 billion pound notes. In securing austerity measures the banking cabal has ensured they have all our tax to shift in the direction of bailing out the failed BIS policies, today seen in the failing banks that operated to their own regulations, or lack of. What they call stability is for the stability of the private monopoly, it is not for the stability of the wealth of nations who have been forced to debt. According to their website, the BIS is a meeting place for the central banks, with more than 5,000 senior executives and officials from central banks and supervisory agencies participating in their meetings every year. The most important meetings are held every two months. They are the regular meetings of Governors and senior officials of member central banks. 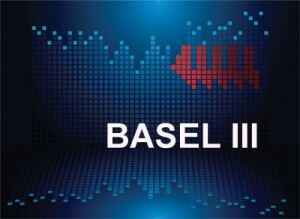 BISs economic, monetary, financial and legal research supports its meetings and the activities of the Basel-based committees. What is the Basel Committee? Basel Committee members come from Argentina, Australia, Belgium, Brazil, Canada, China, France, Germany, Hong Kong SAR, India, Indonesia, Italy, Japan, Korea, Luxembourg, Mexico, the Netherlands, Russia, Saudi Arabia, Singapore, South Africa, Spain, Sweden, Switzerland, Turkey, the United Kingdom and the United States. The Committee’s Secretariat is located at the Bank for International Settlements in Basel, Switzerland, its namesake. Basel, like BIS represents the banking cabal, money-changers, and the elite worldwide, not you. 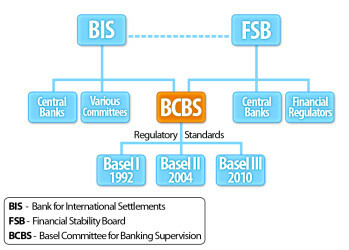 According to their website the Financial Stability Board (FSB) was established to coordinate at the international level the work of national financial authorities and international standard setting bodies and to develop and promote the implementation of effective regulatory, supervisory and other financial sector policies. 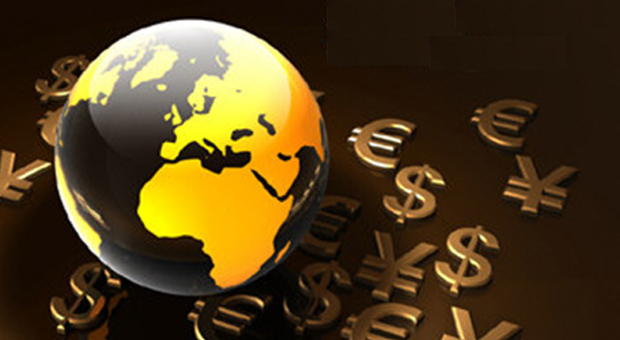 It brings together national authorities responsible for financial stability in significant international financial centres, international financial institutions, sector-specific international groupings of regulators and supervisors, and committees of central bank experts. Others might call them pretend regulators. Chaired by Mark Carney, Governor of the Bank of Canada, like the Basel Committee, FSB’s secretariat is located in Basel, Switzerland, and is hosted by the Bank for International Settlements. Carney, who previously worked for Goldman Sachs in London, Tokyo, New York, and Toronto, for 13 years, will become the next governor of the powerful Bank of England in June 2013. Following is from a July 2011 supervision consultative document from the Basel Committee called: Global systemically important banks: Assessment methodology and the additional loss absorbency requirement. Section IV, B in the table of contents reads: Bail-in debt and capital instructions that absorb losses at the point of non-viability. There we learn bail-ins should only be used if the bank can sustain itself in the private market after the failure. In Cyprus, for instance the bankers decided to let Laiki Bank fail but used the bail-in tool by confiscating/stealing depositor funds in Laiki Bank to save/recapitalise the Bank of Cyprus. Page 2, Section 7 & 8 of the 26-page report tells us how the Basel Committee worked with FSB on these bail-in policies that received the blessing from the G-20 world leaders. 7. This consultative document sets out the proposal from the Basel Committee on the assessment methodology for global systemic importance, the magnitude of additional loss absorbency that G-SIBs [global systemically important financial institutions] should have, and the arrangements by which they will be phased in. This delivers on a request by the Financial Stability Board (FSB) as set out in its document Reducing the moral hazard posed by systemically important financial institutions FSB Recommendations and Time Lines, endorsed by G20 Leaders in November 2010. 8. The work of the Basel Committee forms part of a broader effort by the FSB to reduce the moral hazard of G-SIFIs [globally active, systemically important, financial institutions]. Additional proposals by the FSB on recovery and resolution and on bail-in within resolution address the second broad objective, which is to reduce the impact of failure of a G-SIB These proposals have been developed in close coordination with the Basel Committee, and are being published by the FSB concurrently with this document for consultation (bold mine). Sounds nice, right? Except when you realise that it is your money without your knowledge that will be used to reduce the impact, the moral hazard, of a failed financial institution. Also see FSB’s 43-page October 2011 report : Key Attributes of Effective Resolution Regimes for Financial Institutions for more bail-in information. As I reported here, a December 2012 report written by the Federal Deposit Insurance Corporation (FDIC) and the Bank of England called : Resolving Globally Active, Systemically Important, Financial Institutions, confirms the Cyprus-confiscation model could happen to Americans and the British. As it is written on page 3, Section 13 : An efficient path for returning the sound operations of the G-SIFI [globally active, systemically important, financial institutions] to the private sector would be provided by exchanging or converting a sufficient amount of the unsecured debt (translation: your bank deposits) from the original creditors of the failed company into equity. Of course, the unsecured debt (deposits) that are bailed-in/converted/exchanged becomes equity to recapitalise a failed bank. Unbeknownst to people with bank accounts, the word depositor has been redefined to now mean an investor or unsecured creditor it sounds nicer than saying we might steal your money you gave us for safe keeping if we screw up. The Government proposes to implement a bail-in regime for systemically important banks. This regime will be designed to ensure that, in the unlikely event that a systemically important bank depletes its capital, the bank can be recapitalised and returned to viability through the very rapid conversion of certain bank liabilities into regulatory capital. This will reduce risks for taxpayers. The Government will consult stakeholders on how best to implement a bail-in regime in Canada. Implementation timelines will allow for a smooth transition for affected institutions, investors and other market participants. This keeps the financial institution in tract, without risking taxpayer money. This is what Canada is doing, in line with recent international agreements (bold mine). Flaherty’s office is being disingenuous, word playing and re-branding. Special reserves land assets make up liquidity. Liquidly comes from bank deposits. Even the Group of Governors and Heads of Supervision(GHOS), the oversight body of the Basel Committee, acknowledge that fact. As the GHOS confirmed in January, Deposits with central banks are the most indeed, in some cases, the only reliable form of liquidity. The G-20 is a group of twenty finance ministers, central bank governors, and leaders from twenty major economies from Argentina, Australia, Brazil, Canada, China, France, Germany, India, Indonesia, Italy, Japan, Mexico Russia, Saudi Arabia, South Africa, South Korea, Turkey, United Kingdom, United States and the European Union, represented by the President of the European Council and European Central Bank. IMF’s Managing Director, Christine Lagarde (former Chicago lawyer), Jim Young Kim, the President of the World Bank, and the International Monetary and Financial Committee are among those who also participate. The purpose of the G-20 summits is to cooperate and consult on the international financial systems.In recent years G-20 Summits are met with violent protests. Aside from staged photo-ops and controlled press conferences, the meetings are held in secret. Now you know why, as they plot new ways to steal your money all in the glorious name of saving their international financial system. Click here for to see the status of the implementation and adoption of Basel III (as of end September 2012) by country. Bottom line: BIS, FSB, and the Basel Committee represent the interests of the central banks, financial institutions, the banking cabal not you. If banks fail, in order to save/recapitalise them, it will be YOUR money, not THEIR money which is grabbed. We have been in this movie before. We know how it ends. When the bankers gamble with your money, and they are profitable, they keep the profits, give themselves multi-million dollar bonuses, and you, the lowly bank depositor, receive little or no interest for keeping your money (supposedly for safe keeping) in their banks. If bankers reckless speculation and bets go bad, they take YOUR money. First they did it by taking taxpayer money to bail out their banks in 2008. Now, thanks to Basel III, in the event of future bank failures (caused by they’re gambling debts), under the guise of looking out for taxpayers (after they already took your taxpayer money in 2008-2009), they will take your money again from your bank deposits while you are sleeping to bail-in their banks. You know the game now. As long as banks are too-big-to-fail and bankers are too-big-to-jail (remember MF Global and Jon Corzine, former Goldman Sachs)?, banks are not really banks but casinos, and your money is up for grabs. No one was arrested for trying to crash the world economy. They are still out there. For the love of money is a root of all kinds of evil. It is through this craving that some have wandered away from the faith Timothy 6:10 ESV.